The FM Transmitter products will be supplied under the Model Number FM-25 to 250 and FMT-25 to 250 for the FM Translator products and have been FCC certified for sale in the USA. Maple Leaf RF systems will be marketing products to the LPFM market and also to the FM translator market, which had seen many products sales as the locally branded product LARCAN, over a number of years. Maple Leaf RF systems will also be marketing the BSE HD-Radio Translator product line from 25W to 250W. The DRT-01 IBOC (HD-Radio) translator is the only product on the market at the moment to re-broadcast the analog FM and HD-Radio digital signals. 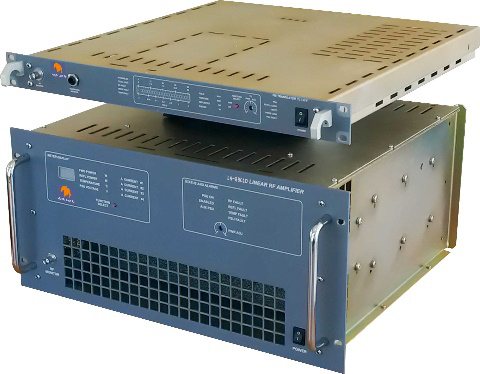 The DRT-01 is coupled with the range of linear RF amplifiers from 25W to 250W to meet the various re-broadcast power requirements in the USA.